It's a Slurpee but better. Over a month ago, Coca-Cola Japan announced it was experimenting with a new alcoholic drink called, "Chu-Hi," the first boozy beverage in Coca-Cola history. 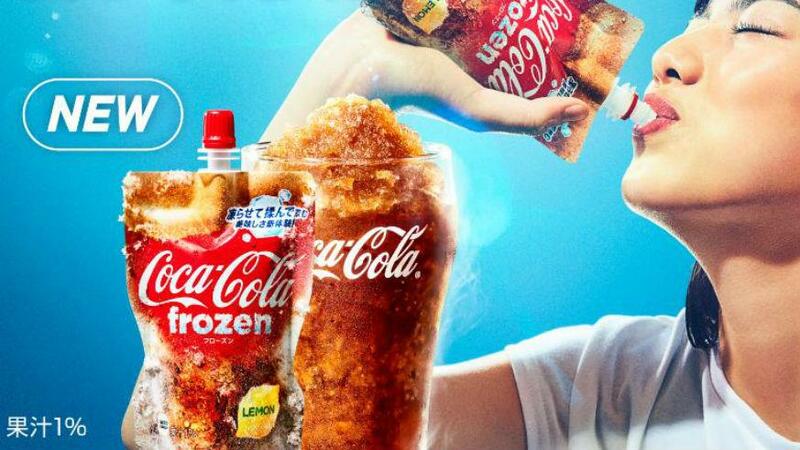 And on April 16, after reportedly testing 100 different prototypes and working on development for eight years, the company launched a first-ever Coca-Cola slushie in a pouch: Coca-Cola Frozen Lemon. "The Japan business unit launches an average of 100 new products a year, and many times more are put to the test behind the scenes," Coca-Cola Japan's business unit president Jorge Garduño said in an interview at the time of the "Chu-Hi" news. "Experimentation is almost like a day-to-day ritual here." So, it’s no wonder the company is dishing out more first-of-its-kind products. The retail price of the Frozen Lemon drink is 130 yen, which is the equivalent of $1.21. Along with this Coca-Cola slushie, the Japanese division debuted frozen Fanta in grape and orange flavors, which are hitting stores as well. Will the U.S. get the Coca-Cola slushie? Sadly, the Coca-Cola slushie isn’t coming to the U.S. — a spokesperson from Coca-Cola North America Group told Metro it's only for the Japanese market — but you can still hop down to the nearest 7-Eleven to purchase a Coca-Cola Slurpee. It’ll have a similar "sherbet-like texture" and keep you refreshed when temperatures (eventually, hopefully) rise.